You want to go on vacation in the sun to relax and discover a new country with family or friends but you can not choose from the range of possibilities? Discover our selection of 5 destinations for your holidays in August: Spain, Morocco, South Africa, the Seychelles and Portugal. Spain, this Southern European country is a pleasant destination with a perfect climate for beach lovers but also for aficionados of history and culture of great wealth. In August, you will enjoy a range of cultural and local events in various parts of the country. Near Valencia, Tomatina Bunol is fun as travellers from around the world come for this colourful battle, similar to the Traida del Agua in Las Palmas. In Malaga, traditional dances, fireworks and bullfights await you during the great Feria. And for those who like good wine and good tapas, the Somontano Wine Festival in Barbastro in Aragon is ideal, as is the Vuelta ciclista for a tour of Spain in a captivating race. Then, the very famous cities of Spain reserve you nice surprises. Madrid is the Spanish capital for the hectic nightlife with exceptional museums such as the Prado but also places not to be missed: the Puerta del Sol, Plaza Mayor, the Royal Botanical Garden or the flea market of El Rastro. Even better, every Sunday bullfights are organised at the Plaza de Toros Monumental de las Ventas. The unmissable Barcelona is just as much an incredible cultural jewel. Indeed, listening to its name, everyone thinks of the splendid Barceloneta, the grandiose Sagrada Familia that reflects Catalan modernism or the Ramblas, the emblematic avenue. 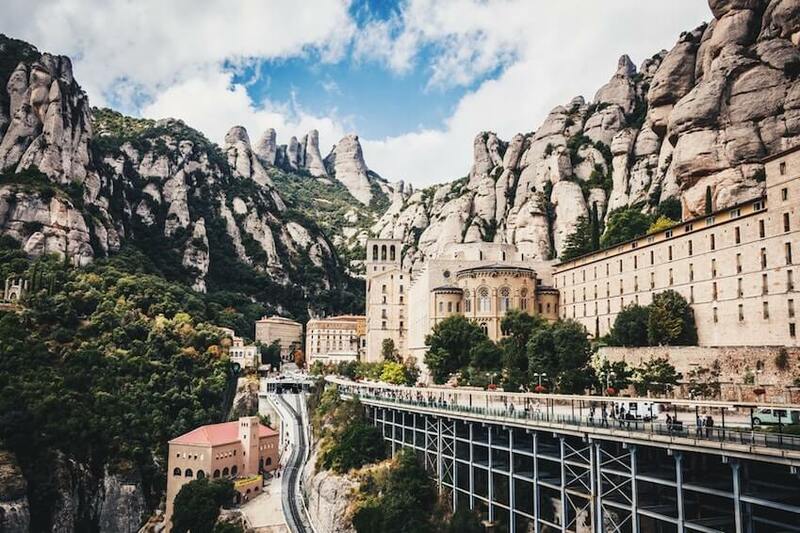 But, it also contains real small attractive corners to discover from the top of Tibidabo Park or Park Güell or in the heart of Boqueria market with a thousand flavours and local products. And, it's impossible not to mention Grenada and the famous medieval acropolis of the Alhambra nestled on the plateau of Sabika overlooking the city or its traditional Arab baths for body care and aromatherapy. 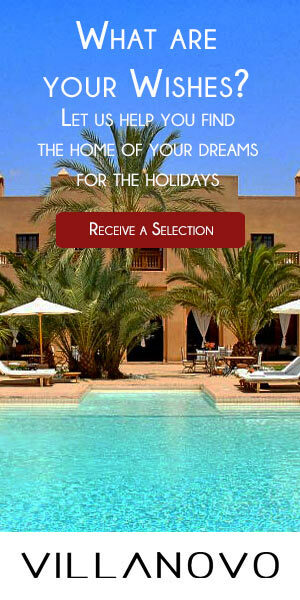 The Moroccan backdrop is full of mountains, imperial cities with incredible past vestiges and beautiful beaches. This destination promises great experiences at the gateway to Africa. Notably, during this period, the feast of the youth is celebrated on August 21st or the international cultural festival of Assilah during which the medina is transformed into a work of art around the Moroccan culture bringing together artists from the whole world. And, it is good to take advantage of the surroundings to visit Chefchaouen with its architecture with pale blue hues and the very Zen atmosphere. In the land of 1,001 nights, you will not be disappointed. Come and lose yourself in the traditional souks in search of unusual and local objects while strolling through the colourful alleys of mosaics. 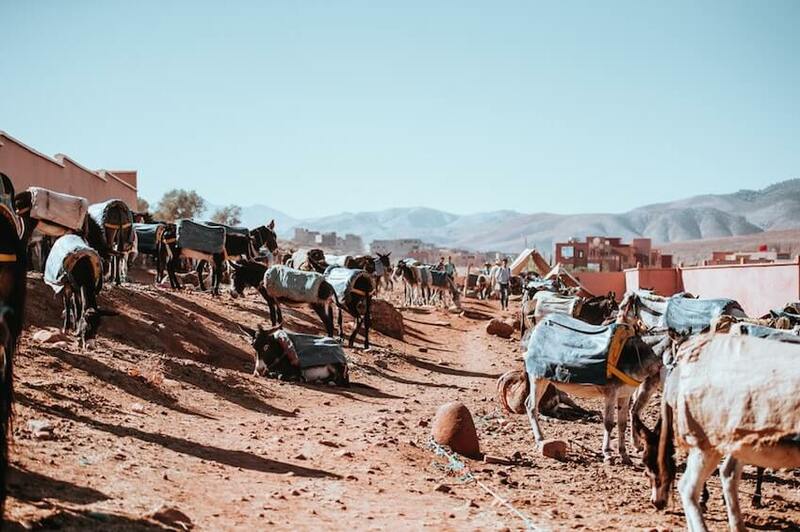 Going through Marrakech with its Jemaa el-Fna square, its authentic medina and its majestic gardens and palaces, travellers head for Ouarzazate, the gateway to the desert. Around a fire, enjoying a barbecue accompanied by music and Berber legends, spend a night in the Sahara desert facing the starry sky for an unforgettable adventure. It is also 15km from the centre of Tinghir that the majestic Todra Gorge, these high limestone cliffs, can be admired. And more, close to Berber villages, Essaouira, this pretty port city offers a hippie-bohemian atmosphere with beaches for camel riding or horseback riding and its ideal golf courses. In the Southern hemisphere, South Africa offers beautiful weather conditions during its Southern winter with sunny days in August. Its contrasting landscapes offer activities for the whole family to discover the deserted lands, improbable wild territories of the Wild Coast to the virgin beaches and hidden creeks in the middle of a fauna and flora that is out of the ordinary. 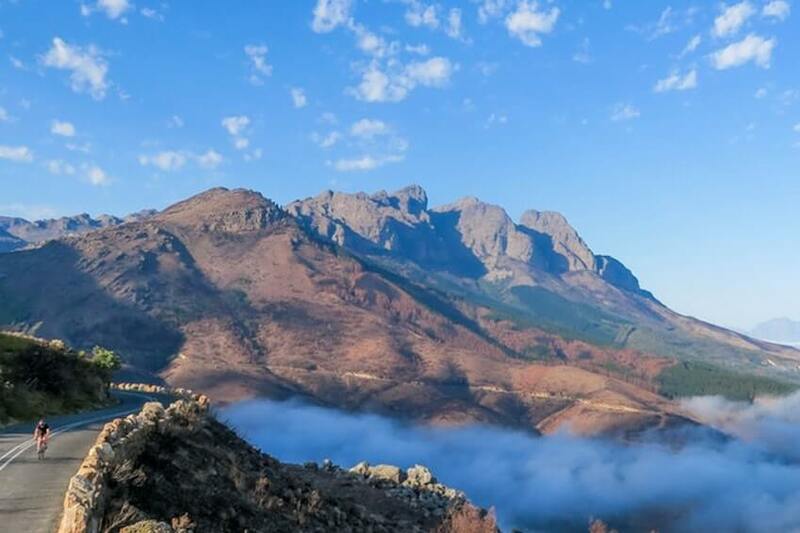 Hikes, safaris, cultural visits in the museums of Johannesburg or Cape Town with the tunes of the end of the world, discovery of the Garden Route, the most beautiful scenic route in the country, there is something for everyone! During this dry season, it is recommended to visit the Kruger National Park to discover the African fauna in their natural environment. Indeed, it is here that the Big Five live, the five African mammals: the buffalo, the elephant, the leopard, the lion and the rhinoceros. Also, from June to November, it is possible to observe whales that migrate from False Bay and Walker Bay or hippos and crocodiles in the Nature Reserve of iSimangaliso in St. Lucia. And simply, enjoy the warm welcome of the South Africans for an unforgettable stay! In a mix of cultures with African, Asian and European influences, embark to a paradise-like destination. 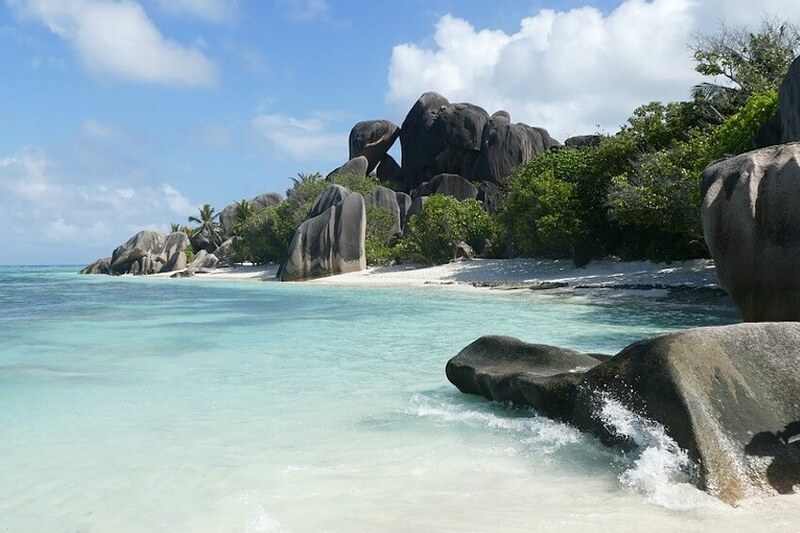 With temperatures ranging from 29 to 30°C all year round, the Seychelles is a destination for all seasons. And between May and October during the cool season, the temperatures are between 24 and 31°C, the opportunity to celebrate the festival of the Assumption during which the houses are decorated and the inhabitants feast. It reigns, in particular, a quiet atmosphere in the image of the hospitality of the Seychellois. Comprising 115 islands and islets, this archipelago of the Indian Ocean offers you a Robinson experience. Surrounded by idyllic bays, nature reserves and a varied biodiversity, you will discover a multitude of activities by travelling around the island, among the small picturesque villages and paradisiacal beaches with granite rocks, coconut palms and crystal clear waters. The National Botanical Gardens are home to many endemic exotic plant species, and animals such as giant tortoises and dogfish to be admired. Do not miss the Vallée de Mai, nicknamed the Garden of Eden with its coco de mer, the Carrefour des Arts in downtown Victoria or a scuba diving trip in the marine reserve of the Sainte-Marie National Marine Park. Lisbon, the Algarve, Comporta, Porto... are all regions to explore in the heart of Portuguese culture! With a Mediterranean climate, Portugal enjoys a sun almost constantly and temperatures up to 30°C accompanied by a pleasant breeze. 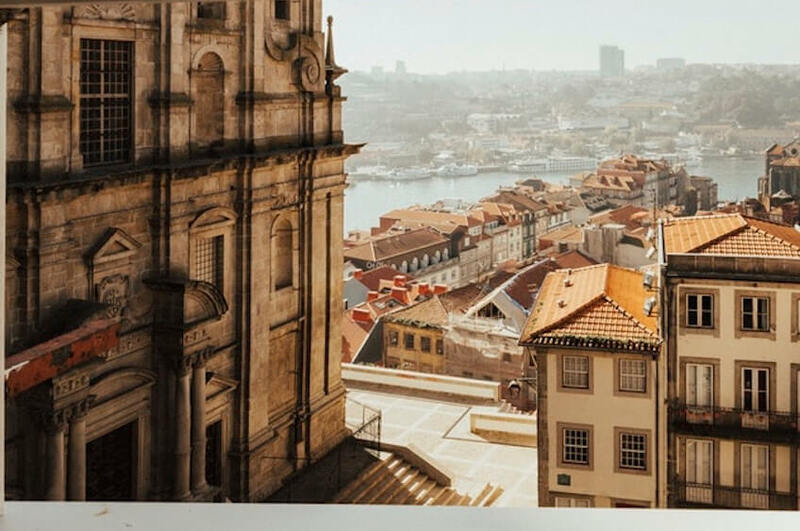 The neighbourhoods of Lisbon's Alfama and Bairro Alto take you to the rhythm of fado, traditional Portuguese music and lead you to São Jorge Castle aboard the Yellow Tram 28 to relive the history of this country. And close to this beautiful city, the beautiful park of Sintra-Cascais is a natural wonder with incredible architectural monuments that you must come to discover, as the tranquillity and charm of Comporta. Looking for beautiful sensations? In the Algarve region, water sports are in abundance: kitesurfing, diving, snorkelling, surfing, paddleboarding, windsurfing...and many more in front of sublime beaches. At this time, you can enjoy the gourmet festival in the heart of the fishing town of Olhao or the medieval fair in Silves by living to the rhythm of tournaments, archers and parades in period costumes. And to continue on the same theme, you have to go to Evora, the historic city of Portugal, testimony of the golden age of the country, overlooking the plain of Alentejo.